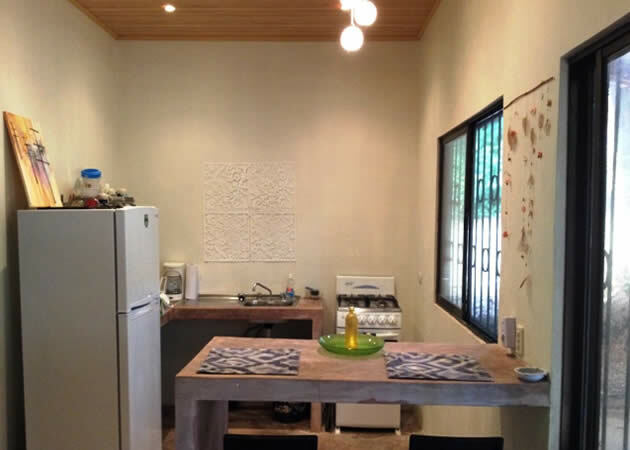 This property is located around 5 km and 10 min. drive from Montezuma beach and the pristine village. 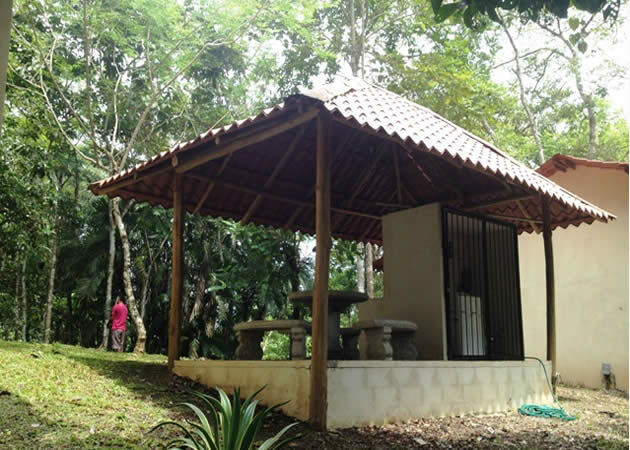 It is easy accessable all year round, yet in a very quiet and private area with big trees and lots of wildlife. 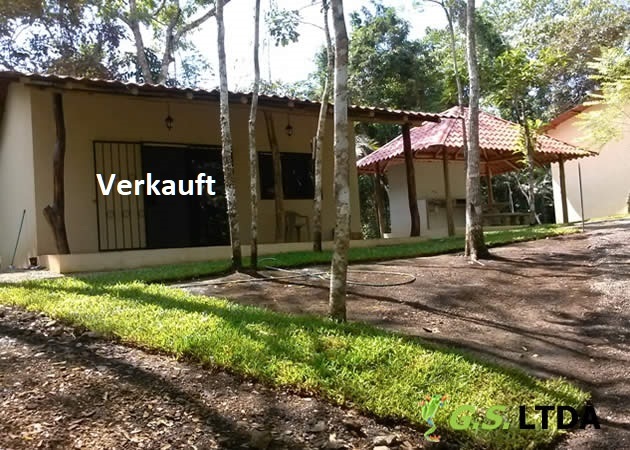 The cabins are located around a rancho with BBQ and built of solid concrete blocks. 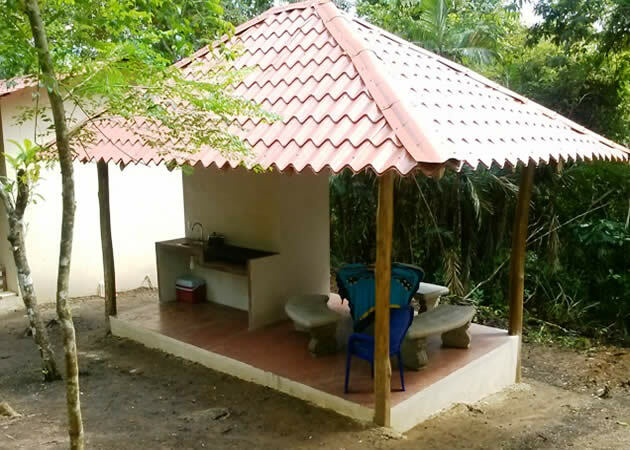 Each little house features 2 BR, 1 BA, kitchen and porch; they come fully furnished. The lot is titled and comes with well water access.